When I first began doing Newborn Lifestyle sessions I was COMPLETELY out of my comfort zone! I felt so overwhelmed. Are my settings right? Indoor lighting can be tricky! Is the family comfortable? I hope they see the vision I have. They weren't expecting me to wrap up their baby in moss and surround them with flowers, right? You guys...that stress was awful. 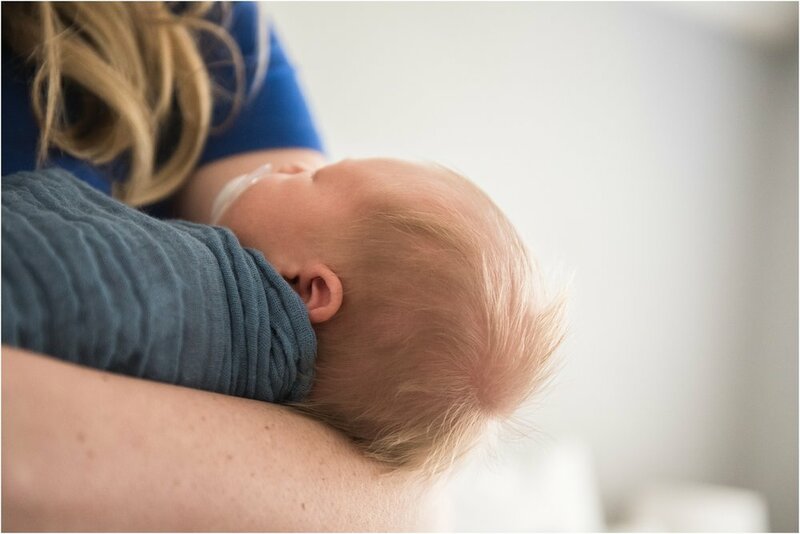 But then, the second I completed editing my very first newborn lifestyle session and scrolled back through the images, my heart skipped a beat. THIS is amazing. The meaningful art that results from these sessions is sincere, sweet and so natural. 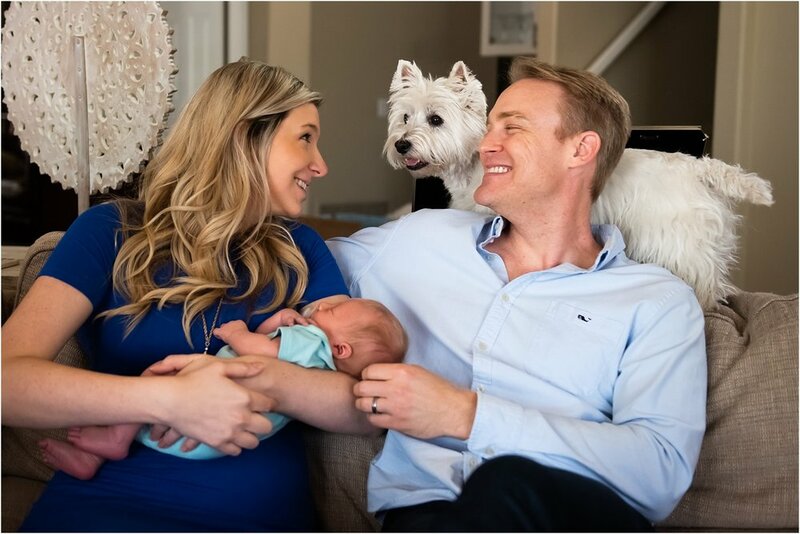 Now, I am so comfortable, eager, and adore shooting Newborn Lifestyle sessions and absolutely, positively love the story behind each and every gallery I deliver. From start to finish, I am with this family in a very vulnerable and intimate state. They just welcomed a new baby into their world. Who knows if they are sleep deprived or not. Their house, quite possibly was a wreck before I walked in - and NO you don't have to clean up before I arrive. Each story and each family is so unique, different, and beautiful in their own way. The most amazing part of it all, is that they're allowing and trusting me, to come into their world to capture them with their new love. As I entered the Allen's Pottery Barn styled home I was greeted by the fur baby of the house, Hepburn (yes, as in Audrey Hepburn - I know, that name is freakin' adorable). You'll see what I'm talking about as you view some of my favorite photos from their session below. One thing I want to provide for all of the families I get to work with, is comfort. I want you to completely be yourselves during our time together. That's exactly what the Allen family did. We embraced every diaper change, swaddle, and nursing break. 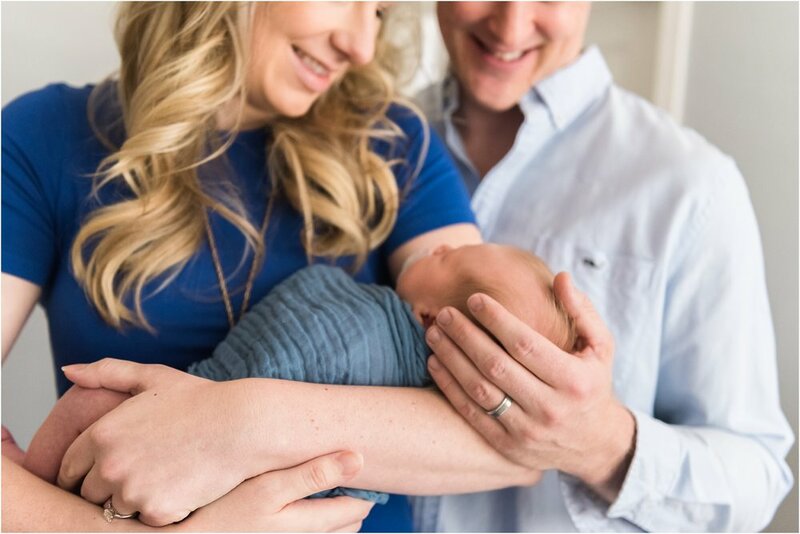 Newborns are such a beautiful thing and I love that when the gallery is complete and delivered, they get to relive that day when they welcomed me into their home and their newborn into their lives. Being a photographer is such an honor and I am so grateful to the families that let me into their lives. Thank you.